The new garden furniture trends for 2019 are reminiscent of the interior design. Through high-quality materials and modern designs, they are particularly cozy. This year, too, it’s all about the high comfort in the garden. A term that has become increasingly popular in recent months is outdoor homing. 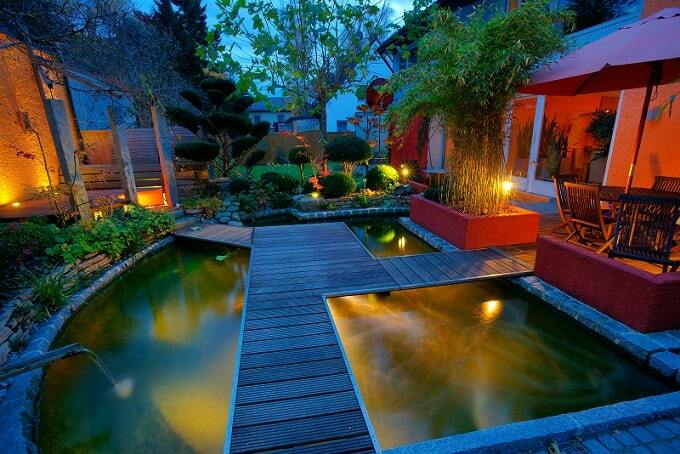 It describes the trend to make the outdoor area as beautiful and comfortable as the interior. The garden is the new resort. Those who find the time, settle down in its beautiful garden corner, read a book or enjoy barbecues with friends. There may be also very natural and modern in the furniture pieces. The similarity to the interior should ensure that you feel particularly comfortable. This trend was already evident last year. Right at the top are the lounges. These are a size that several people can comfortably find and relax on. So who has always considered whether he makes himself comfortable indoors on the cuddly sofa or brings the garden lounger from the shed, is now facing this decision no longer. The coziness of a sofa are the lounges in nothing more. Also in 2019, the lounges and sofas for the garden continue to be high season. It remains very comfortable. Just then, when the place is available, you can set up the shells with sun canopy, the huge sofa landscapes and wide armchairs and creates an oasis, which ensures even after work for even more relaxation. However, there is also competition for the cozy Lümmel pieces of furniture. So many garden owners have the problem that they lack the space to set up these landscapes can. Even if you only have a terrace or a balcony, you can have problems when you go in search of the cozy pieces. That’s why more and more variants are coming through, which are just as comfortable, but still a bit smaller. The style is also missing these pieces of furniture. On the contrary. They are simple and elegant, modern and fit very well into the garden. With soft cushions and accessories, the pieces of furniture can even be given an individual character. Very popular are pieces of furniture that can be easily carried to another location. This makes perfect sense when considering how fast the sun is moving. The robust garden lounger made of real wood may look very nice. It becomes difficult, however, when the shadow comes and you really want to continue to feel the sun’s rays. It is easier here with light pieces of furniture made of rattan or metal. The same applies to the stowage of the furniture. About the winter time, when the holiday comes or just every evening – there are many reasons why you prefer to bring your furniture in the garage or the shed. It is only annoying if they take up a lot of space or are too big and heavy. This will be counteracted with the current trends in 2019. Here it is so that the furniture can simply fold up or be stacked. They require little storage space and are packed quickly. A highlight: There are now beanbags for the garden area, which look like crocheted or made up of hay. They are lightweight, adapt to the body and can easily be stowed away. In fact, these are very robust materials that provide a nice eye-catcher in the garden. You could already see it in the interior, that furniture with a retro charm find its way into German living room. Made of metal, for example, chairs and benches look particularly classic. Due to the special shapes, rounded, hollowed out and with a high back, they are also particularly comfortable. For example, the chairs can be filled with a cuddly pillow as a base. The retro-chic is also evident in the colors. A strong orange or green, gray or brown can be optimally combined. It may take a little courage to be extraordinary, but the courage can be worthwhile, because the furniture made of furniture in retro-look will be the eye-catcher in the garden. In general, the colors are allowed, of course, what pleases. The plain tones in gray or black, which are reminiscent of wood in their design, are still very popular. But colors are welcome too. Straight turquoise is a summery color that works very well in the garden. Meanwhile, the choice of colors and patterns is great. Thus, the manufacturers serve the desires of the customers, even with the garden furniture to choose from a design that comes very close to their own taste. In the meantime, even the beach chairs belong to the retro area, one might say. These have 2019 further season and are gladly set up as a small eye-catcher in the garden. The same applies to the old porch swing. Although it now has a much more modern design, it is still particularly relaxing to lay down here and gently weigh it. In addition to the various pieces of furniture, which are now available for the establishment of a cozy garden corner, there are also other effects that can be set. Light and lights are still a great thing and may be used quietly. Meanwhile, there are devices that also remind of the interior in their design. In addition to the solar lights, which can be very well stuck in the ground and like to line the paths, there are, for example, floor lamps that can be used on the terrace. They can be easily installed or directly installed. The models are weatherproof and can withstand even a rain. The light is bright and turns night into day. But it can also be dampened if that is desired. Very nice effects can be achieved with indirect light. This can be created by LEDs. Bright flowerpots, butterflies or artificial flowers make the atmosphere in the outdoor area almost magical. In the online shop, many different variants can be found, both for the furniture and for the light. A trend that has been going on for several years and will once again play its charm in 2019 is the vintage trend. 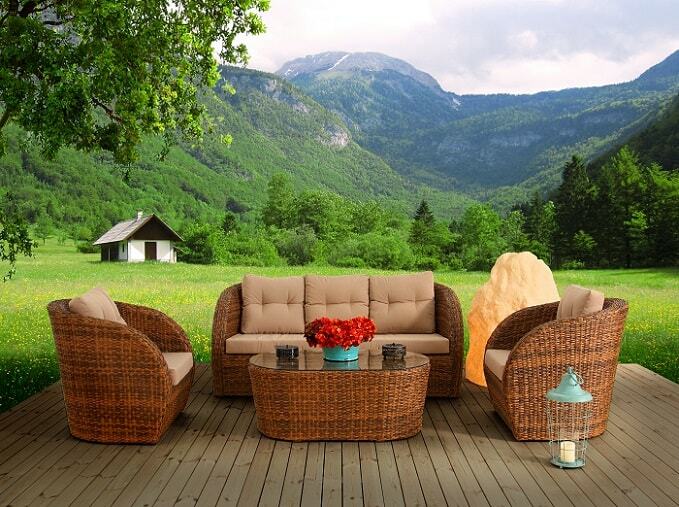 To buy there are garden furniture, which are trimmed on old. But it’s even nicer if you even have some pieces of furniture that you would like to beautify yourself. The porch swing from the old garden of grandma is still under a sheltered roof and was no longer used? That can be changed. New feathers and a little color for the frame as well as new fabric on the upholstery make a new favorite piece from an old piece. Often this does not take much effort and can also be done by laymen at the weekend in the garden. In most cases, it is the references of the pieces of furniture that have suffered over the years and are no longer quite as trendy in their colors and designs. One solution is to offer new fabrics, which today have a retro charm or which bring fresh colors to the table. The advantage: In this way, your own idea can be optimally implemented.